Congrats to Chris and Ashley for becoming Home Owners! Chris and Ashley reached out to us as a referral from Victor and Jasmine who we helped a few times over the last 8 years. After a quick conversation with Chris & Ashley, we knew they were serious because they had already met with a lender and were ready to start shopping. Marysol, our awesome buyers’ agent stepped in and they were off to the races. After a few homes, Chris and Ashley’s offer was accepted. Fast forward 35 days later, we are here at this moment where we have some new homeowners in front of us. 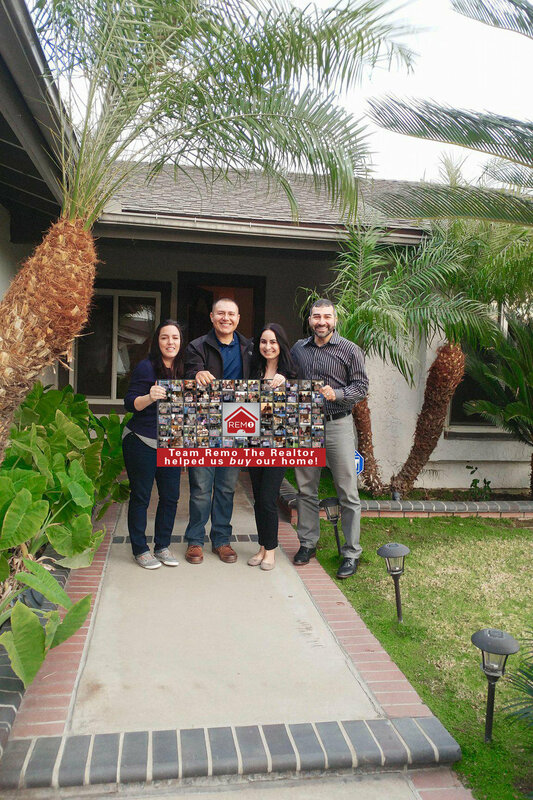 Thank you to Victor and Jasmine for keeping us in mind and referring your family, to Marysol for doing a killer job on finding them their home and navigating things until their escrow closed, and especially to Chris and Ashley for allowing us to be part of this milestone for your family. We wish you guys nothing but the best in your new chapter and are especially excited about your recent engagement. Thinking about Buying in 2018, call/text 562-762-8581. We are pretty good at that stuff. Congrats to Chris and Nancy for becoming Home Owners! Chris and Nancy reached out to us after doing some online research and reading some of our reviews. After a quick conversation, they scheduled a weekend appointment with our Buyers’ Specialist, Mary. Right off the bat, Chris and Nancy hit it off, especially since Chris lived in the Valley, and Mary grew up in the valley. After viewing six properties and after comparing their options, they were clear on their number one pick! Fast forward two months from the initial meeting, Chris and Nancy’s offer was accepted on their top choice. Thank you to Dalia of New American Funding for securing their financing, Jose the listing agent for a smooth transaction, to Mary for doing a killer job on finding them a beautiful home, and especially to Chris and Nancy for allowing us to be part of this milestone for your family. We are wishing you all the best next month on your big day! Cheers to the new partnership and it was a pleasure representing you in the purchase of your beautiful home.